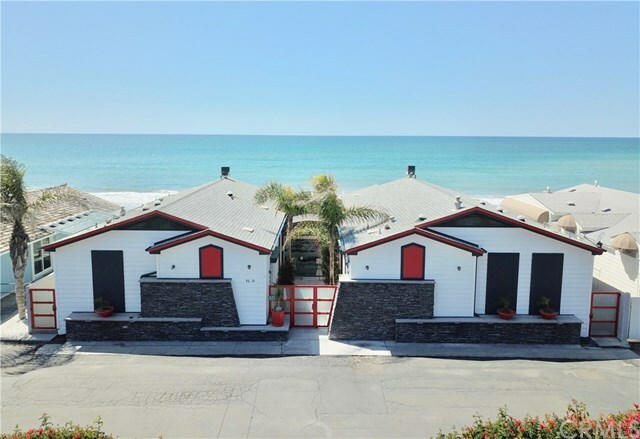 Enjoy twice the fun of beachfront living at this large seaside family compound in San Clementeâs unparalleled Capistrano Shores community. 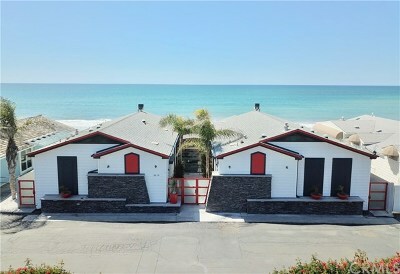 A rare double homesite reveals two highly-upgraded manufactured residences that are have a spacious center covered courtyard. Modern and stylish, the bright and airy design of each unit features large windows that frame spectacular ocean, whitewater, sunset, coastline and beach views that stretch for miles up and down the shore. Together there are two bedrooms, and one full and two three-quarter baths are presented, including a luxurious master suite with sitting area, walk-in closet, and a bath with tub, multi-head shower and quartz countertops. Chic style continues in a chef-caliber kitchen that is distinguished by high-end Dacor appliances, sleek cabinetry, a built-in refrigerator, prep sink, and ample storage for beach party supplies. A beautifully landscaped entrance is complemented by etched-glass entry doors, the laundry room offers outdoor access, an automated storm shield protects in inclement weather, and ceiling fans, chandeliers and built-ins are featured throughout. Six parking spots include one 220-volt electric car charging station; new tankless water heaters increase efficiency; dehumidifiers and HVAC are featured in all three zones; Culligan soft water and reverse-osmosis systems improve water quality; and concrete sub basements are included.